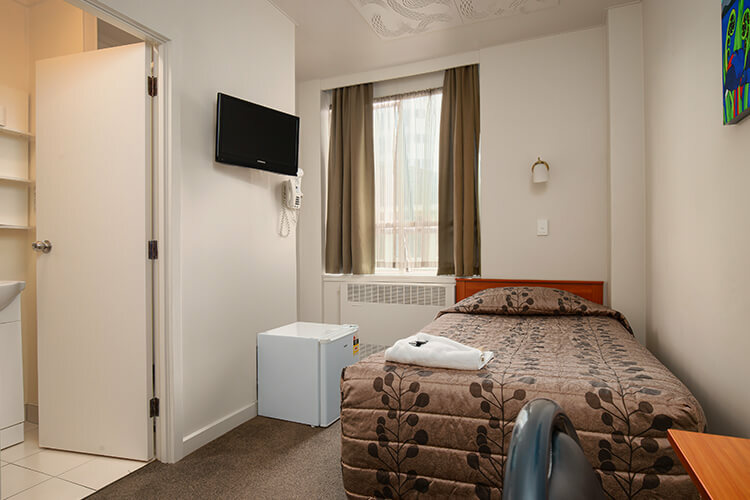 Our single ensuite rooms provide all the comforts of a superior hotel room but without the price tag and is the perfect solution for solo travellers. The rooms are fitted out with modern furniture; a king single bed, writing desk, LCD Television, refrigerator and tea & coffee facilities. All rooms have free wireless internet access and central heating.